In his book Money Mischief, Milton Friedman reported the well-known story of the monetary system of a small island in Micronesia. At the end of the 19th century, the inhabitants used stone wheels as a medium of exchange and as a store of wealth. The colonial government imposed “fees” on disobedient district chiefs by painting black crosses on these stone wheels thus “confiscating” them. This induced the locals to change their ways and work harder, paving roads they were previously reluctant to do, in order to have these marks erased and get their wealth back. Friedman concludes that this example illustrates how important appearance, belief and myth become in monetary matters. My interpretation is completely different. This story shows how important the somehow agreed upon monetary standard to price goods and services is and the effort people make to keep or restore it (just how people stumbled on it is lost in the mist of times). If some smirk at the fact that these “primitives” were ready to work harder to get their “stones” back, consider how “moderns” react following inflationary periods. As governments often inflated to pay down war-related debts quickly, erasing much of the value of savings, people started to work harder to restore their wealth. Whereas in Micronesian society, the stones were both a unit of account in terms of which other goods and services were priced and a store of wealth, in prisons, cigarettes became both the “unit of account” in terms of which prisoners priced everything and were used as means of payment. There are good reasons that “money” is the first thing all societies invent. Say there are 100 goods and services offered in a prison. In the absence of choosing one yardstick, there would be 4950 possible relative prices, as each commodity and service would be priced in relation to every other one. With one common yardstick, there would be 99 prices, preventing time being wasted searching for and haggling over prices. And there were good reasons too that prisoners chose cigarettes as being their unit of account and means of payment. Since each prisoner had the right to one pack of cigarette per week, authorities established a fixed amount of this “resource.” Thus cigarettes could be used reliably to price everything else. This same rationale justified the classic, pre-WWI, “gold standard” – the difference being that in the latter case the total physical amount of gold on this planet was known. Although, the latter does not imply that a central authority did not have the power to change the effective stock: the United States confiscated all privately held gold in April, 1933 at $20.67 – making it unavailable for private transactions. (Congress then passed the Gold Reserve Act in January, 1934. The Dollar was devalued by 69% to $35.00, the Treasury recording the difference of $2.81 billion dollars (roughly 5% GDP at the time), which it could now spend without explicitly raising taxes). In the case of cigarettes, the total amount could change if the numbers of prisoners changed. But as the latter changed the total amount of transactions changed roughly proportionately too, with both liquidity and prices staying stable. It is not particularly surprising that in once communist countries – which were large prison-lands really – American cigarettes (Marlboros) and jeans turned out to be money too: only limited amounts could be brought or smuggled in, and you could get for them far more goods and services than you could with the official ruble. The similarities are related to the reasons for creating a unit of account to start with, namely, to have fewer prices and facilitate transactions. With currencies fluctuating wildly one against the other – up and down 50% – while (mis)measured official inflation rates appear to be stable, the search for a global unit of account better than any of today’s currencies was to be expected. Although Bitcoin has been fluctuating wildly too — up above $1,000, down to $600 range, and on February 12 and two Bitcoin exchanges halted exchange services — this currency does not look too shabby when compared to bank runs, Cyprus confiscating bank deposits, or even the Swiss devaluing twenty percent to capital controls and to increased taxation on importing gold (in India). Also, having a trusted algorithm define the fixed amount of “bitcoins” to be created is not dissimilar to the total, relatively fixed amount of “cigarette” resource created by prison authorities, or “gold” in its pre WWI “gold standard” incarnation. (Though in contrast to the latter two, it is not clear what may prevent anyone else coming up with other similar algorithms). But while Bitcoins can become an alternative payment system for immediate transactions, its appeal will stay limited unless borrowers and lenders start using it. As of now, merchants use Bitcoin for redeeming them quickly into the national currency they favor after selling their goods or services. The trade allows them to avoid standard banking transaction costs, though more important may be the fact that they may be able to avoid volatile currencies and governments’ inquisitive eyes, whether tax- or legally-related. If the latter are one of the main reasons for Bitcoin’s existence, even relatively large fluctuations in its value may not seriously hinder its expansion: After all, if one can avoid paying 30-40% taxes, or banking transaction costs in similar ranges due to wildly fluctuating paper currencies, losing less on Bitcoin fluctuation will still make its use attractive. However, even assuming that the Bitcoin IT personnel prevents future hacking, and merchants find the currency sufficiently liquid, Bitcoin still cannot become a “monetary standard”; a deepening bond market is necessary for achieving such status. But few societies managed to develop deep financial markets throughout history. For good reason: borrowing and lending requires a trusted legal framework, separated from both politics and religion. The Bitcoin experiment is thus without precedent: the Micronesian tribe, the prisoners and societies throughout history were all “societies” before they created their currencies. In contrast, Bitcoin started with an algorithm, promising a “fixed amount of digital resource” – and it now tries to discover a “society” to use it over the longer haul. It cannot happen: technology creates users, not tribes. Tribes create monetary standard – as long as their members trust their institutions. 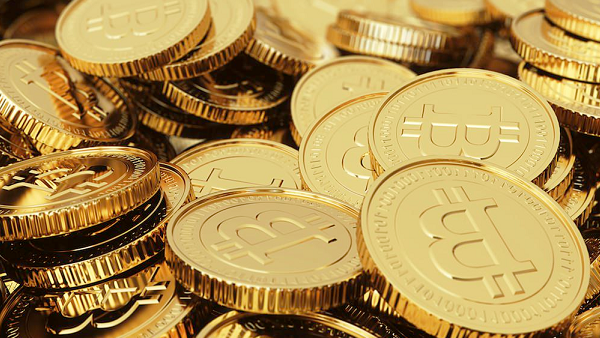 What Bitcoin can do is serve as means of payment for flight-by-night customers. More important perhaps: Bitcoin’s mere existence may draw attention to the fact that its birth is due to the utter mismanagement of monetary and fiscal and regulatory affairs around the world, and speed up the search for lasting solutions, and re-establishing trust.